There are 18 reviews of Ombré Leather. A diluted Tuscan Leather with the raspberry note toned down, and some vague floral notes added. Strangely, I do not find it particularly leather-y, maybe because it feels watered down. The accord is moderately satisfying, but is too meek, and doesn't hold up well for long on my skin - it fades in about a couple of hours. It is linear, in the usual Tom Ford style. Stylistically it is in the same vein as Tuscan Leather or Acqua di Parma Colonia Leather, but those two are much superior. This is the same as Ombre Leather 16 to my nose. Honestly it seems that much of the fanfare about this fragrance is because it is the same as Ombre Leather 16 (a diluted spin on Tuscan Leather, and Tuscan Leather is too strong for some) at about two-thirds of the price. There are dozens of better leather perfumes at lower prices, including the Acqua di Parma which can be had for less. Part of me wants to like Tom Ford colognes: one of the reasons I'm writing these reviews is because of my love for Tobacco Vanille years ago. There are aspects of his fragrances that really draw me to them, and I hold out faith that his aesthetic of refinement could ultimately lead me to something substantial in my collection. 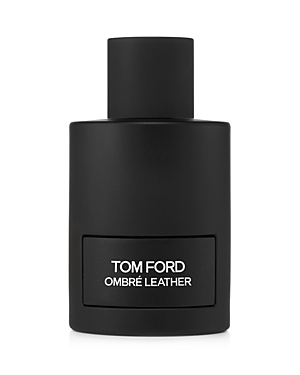 Then there is the part of me that wonders why I keep setting high expectations for fragrances that rarely last more than 5 hours on my skin, which is once again the case for Ombre Leather. The floral notes are well done, softening the stringent synthetic blast of leather on first use: not altogether unlike Tuscan Leather but without as much raspberry and a good deal more cardamom. The leather scent is strong-a cold and methodical leather. Drydown is straightforward, becoming a soft, spicy leather as the hours progress. Not many hours, however: it becomes a skin scent after 4-5 hours. As usual. I would squarely put this fragrance in the realm of unisex. I enjoy it more than Tuscan Leather, I'll say that. If the drydown was more interesting and there was more depth this may be a thumbs up, as you'd be getting something quite interesting for a brief period of time. It's a fine scent, the below average longevity and sillage again make question how many more times I'm going to spend this much money to get disappointed. Really nice offering from Tom Ford. As a big fan of Tuscan Leather I thought this one would be redundant. I was wrong. What we have here is a leather/suede with various floral notes. I've heard others say that this is all leather. I disagree. The floral notes are quite noticeable. Doesn't have the staying power of something like TL but very nice in it's own right and would make a great choice for those that find TL a little overwhelming. Wow. As someone who loves and wears a wide variety of leather fragrances, I have to say that I am gobsmacked by the stellar reviews this one is receiving. To me, this smells like a highly, stridently-synthetic and sharply-ambered version of Cuir Ottoman (on a REALLY bad day). Cold, bitterly pungent, plastic-y, and artificially harsh are some of the descriptors that come to mind when I spray this on. I find nothing redeeming in this fragrance and I'm sad to think this is how modern noses interpret the glorious and (normally) varied smell of "leather." Strong leather mixed with florals and warm, sweet caradmom and amber. An interesting combo that had me saying how masculine it made me feel while the wife thought it leaned too feminine. Quite interesting. Either way, it's a scent you keep having to re-smell to confirm your original thoughts and then adjust them to the newest nuance discovered after your latest sniff. Is it a Tuscan Leather flanker? No, scratch that. Is it too feminine with the florals and sweetness? Nope, try again. I'm enjoying my testing journey with this one as it really has changed my mind from the initial spray. Projection is very good and longevity to match. A very good performer. Soothing and smooth leather in the first spritz that holds tight throughout the day. Reminds me of the leather in Aleksandr but a hundred fold bolder and at the forefront. The jasmine plays second fiddle as leather is still dominant after the dry down. I have a soft spot for cardamom and in Ombre Leather it's has a fried/baked cardamom quality pushing it as more savory rather than sweet. I'm not a Tom Ford fan, I often find his perfumes and makeup overpriced, but this perfume I would gladly add to my collection. Tom Ford Signature Ombre Leather Eau de Parfum 3.4 oz. 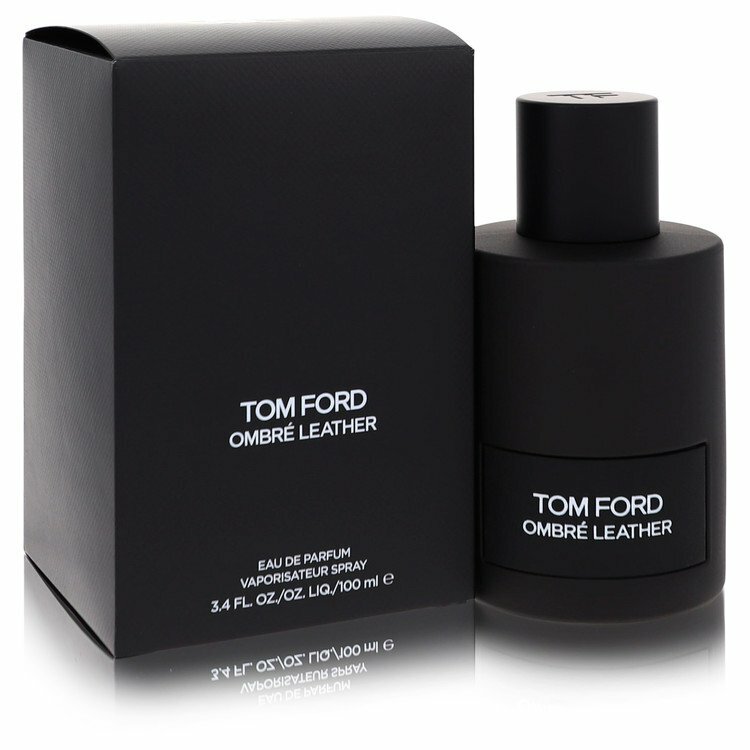 2 x TOM FORD OMBRE LEATHER 16 * WHITE SUEDE 2 ML. There are no member images of Ombré Leather yet. Why not be the first?